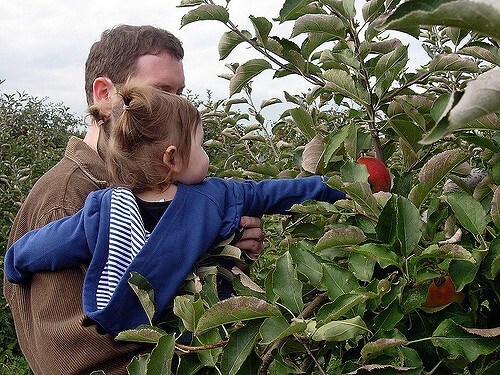 With the official start of the Fall Season just a few days away, Apple Picking Season in full swing! 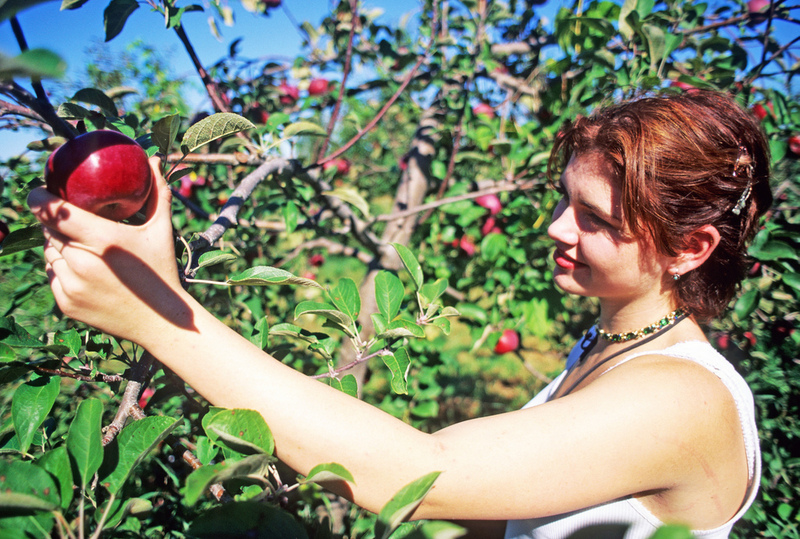 Tons of local farmers have been preparing for the season and have tons of various apples for families to choose from. 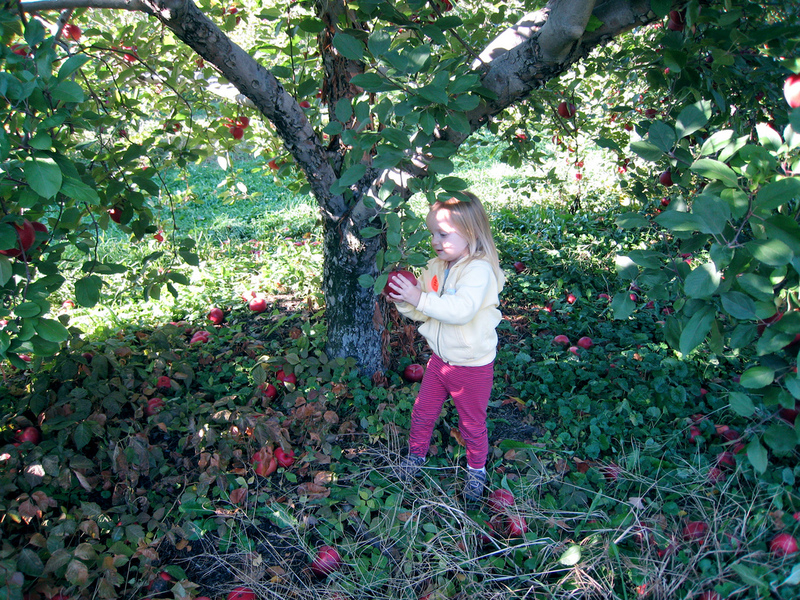 Not only is Apple Picking a fun way to get the family together for some bonding time, it also allows everyone to enjoy the crispy Fall weather that the season brings each year. 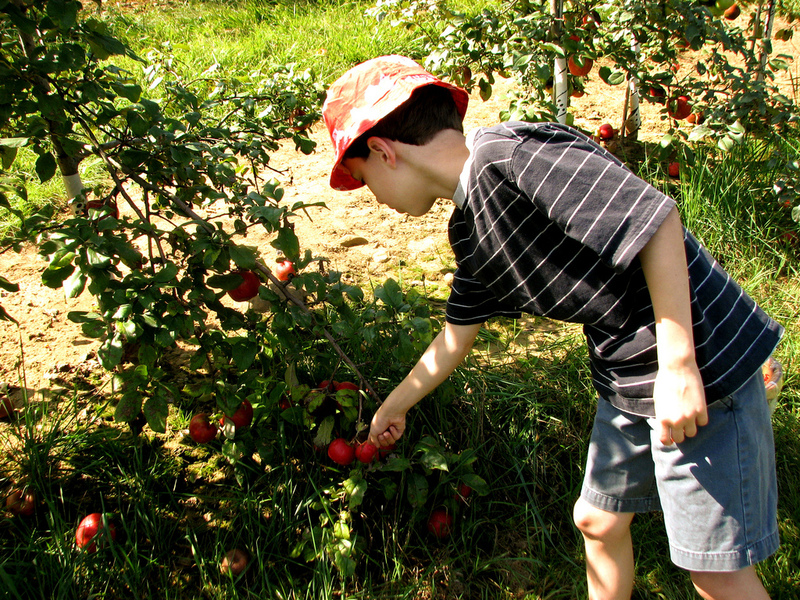 Whether you’re baking apple pies, apple bread or some sweet apple butter, it’s great to have knowledge of the variety of apples that you’ll see while picking. There are a variety of apples that differ in taste, texture and color and some are better using for baking than others – take a look at the list below! A greenish-yellow colored apple, with a sweet flavor and crisp, juicy outside. Crispin apples are best used for baking, sauce and fresh eating. These apples can be found October through September. Greenish-yellow apples that may have a red blush to them. Ginger Gold have a sweet and tart taste and a soft, mealy texture. They can be found between August and November and are best used for salads and fresh eating. Idared apples are a light red color and have a sweet, tart flavor, with a firm, juicy texture. They are best used for sauce, baking, freezing and fresh eating and can be found between October and August. Yellow apples with red stripes, with a sweet flavor and soft, juicy texture. These apples are best used for fresh eating and can be found between the October and July months. Gala apples have a red-orange color to them, with yellow stripes. They have a crisp, juicy texture and a sweet taste. These apples can be found between August and March and are best used for salads, sauce, fresh eating, freezing and baking. A green apple with some yellow and red, they have a sweet, tart, yet spicy flavor with a juicy, crisp texture. Jonagold apples are best used for fresh eating, baking, sauce and salads and can be found from October to May. Honey-crisp apples are a mottled red color over yellow and have a sweet, tart taste to them. Their texture is crisp (of course!) and are best used for salads, baking, fresh eating and sauce. They can be found between September and February. A solid red color, Empire apples have a sweet and tart taste, with a crisp outside. You can find these apples between September and July and they are best used for salads and fresh eating. A solid red color, Rome apples have a sweet taste with a firm texture. They are best used for sauce and baking and can be found between October and September. McIntosh apples have red and green, with a tangy taste to them. They can be found between September and July and are best used for sauce, baking and fresh eating. A red-yellow apple with light red stripes, this apple has a spicy, tangy flavor with a soft texture. They can be found from September to April and are best used for baking and sauces. A yellow-green apple with a tarty, sweet taste and a semi-soft, juicy texture. Golden Delicious apples are best used for fresh eating, sauce, baking and salads. Granny smith apples are a green color and could have a pink blush to them. They have a tart flavor with a juicy, crisp texture and are best used for fresh eating, baking, salads and sauces. These apples can be striped or solid red, with a sweet taste and soft, mealy texture. They are best used for salads and fresh eating. Fugi apples are a red blush color, with yellow and green stripes. They have a spicy, yet sweet flavor with a crisp texture. They are best used for fresh eating, freezing and salads. Which apples are your favorite? Let us know in the comments below!